Hope you are all doing well and enjoying this wonderful sunshine we are having right now, fingers crossed it lasts, i'm planning on doing a spot of sunbathing this weekend as i am in desperate need of a summer glow asap! 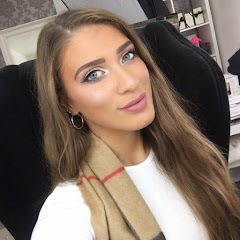 So a few months ago i was very kindly sent some Bioderma products to try out, I absolutely jumped at the chance of trying them out as Bioderma is a brand i had been coveting for a while and their products were quite hard to get hold of in the UK. However, that has all changed now, you can purchase them online from Escentual.com and i believe Boots is also a stockist. Bioderma Sebsibio H20 is a gentle makeup removing solution which is safe to use on the eyes and faced. It is designed to gently cleanse the skin without the need of rinsing and is an ultra-mild micellar water which is alcohol free which soothes and cools as it cleanses the skin. Sensibio H20 huarantees cutaneous and ocular tolerance for the skin and the eyes with it's physiological PH and soap free formula. The cleanser removes impurities using micelles, which are micro-emulsifying impurities while mainitaing the skins full balance, pretty nifty huh?! Added decongesting active ingredients prevent irriatation thus making the skin feel instantly refreshed, perfectly clean and free from all makeup including water proof mascara. I wanted to use this product a good few times before revieing it because i wanted to make sure it actually worked for my skin as everyone is different. After seeing all the rave reviews throughout the bloggersphere i now understand what all the fudd was about, this stuff is absolutely amazing! What i love about this product is how gentle it is on the skin but how strong it is at the same time when removing the makeup. It literally feels and looks just like water and leaves no residue behind after usage and it had no visible scent to the solution. After i have used the solutions my skin feels refreshed and clean which is just perfect for the summer months heading our way. Sebium Pore Refiner aids with refining the texture of the skin which is prone to excessive oiliness, the formula is rich in dermatological active agents that as a daily treatment works at tightening the pores, preventing imperfections and mattifies the skin both immediately and over time. This correcting concentrate improves the skins appearance and making pores less visible. This sounds like a perfect primer type product to put on under makeup. Bioderma's patented Fluidactive® ensures that the quantity of sebum production is reduces which unblocks pores and will reduce breakouts on the skin. Antioxidants in the formula boost the skins radiance and overall protected. The formulation of this product is absolutely devine, it has a light liquid formula which instantly melts into the skin which leaves a velvety finish, which is much like Benefits POREfessional. Personally, i have combination skin, i usualy sway between dry to normal to oily t-zone which can be a pain. I have loved using this product in replacement to my normal daily primers and i have noticed a difference in my skin. As i don't have oily skin i only focus the product into my t-zone, i wait for it to set into my skin a little and then i will apply my moisturiser and then my face products, this is the combination it suggests to use on the back of the box, however, i would usually apply this type of product after my moisturiser but i thought i'd play it by the rules this time ;) It leaves a matte ready to use flawless base for my makeup which i love, it aids with applying makeup even more eaily and it has beenficial aspects to it also which are helping througout the day, fabo! Even though my pores previously were not that noticable i have noticed that this product has smoothed them out and made them even more noticeable! It is not classed as a primer per say, however, personally i think it works great as a primer type product. The sebium range is more targeted at combination skin so i would love to try the Sebium H20 also to see how it compares to the Sensibio range. 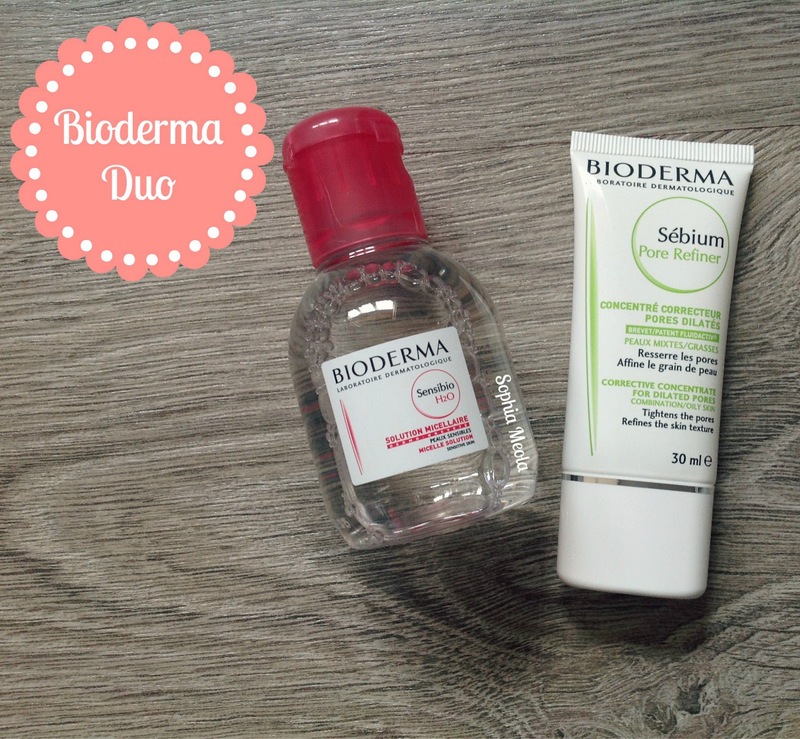 I hope you all enjoyed this duo Bioderma review, i'd love to know your thoughts on the products too! If you have any questiosn or requests please do not hesitate to contact me or leave a comment below, i love hearing from you all and i read every single comment! I love bioderma! It's so handy when you just can't be bothered to faff around with "proper" cleanser!